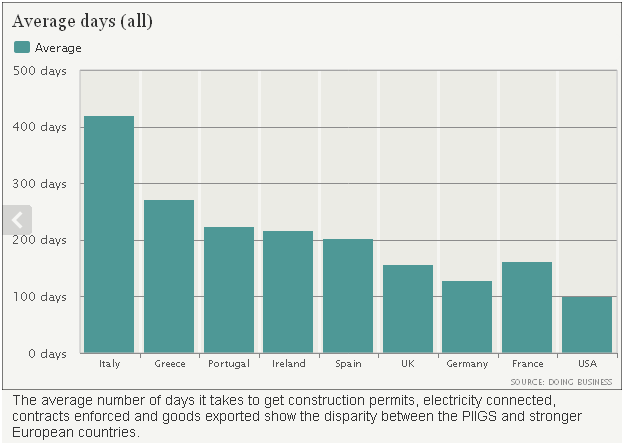 The following charts from the Telegraph illustrate how regulations and poor administration have held back Portugal, Ireland, Italy, Greece and Spain's economies, using data from the Doing Business project, which carried out by the World Bank, measures the time and cost of common business activities. One glaring example is contract enforcement. Contracting is an essential and integral part of transacting business and contributing to a country's economic growth. 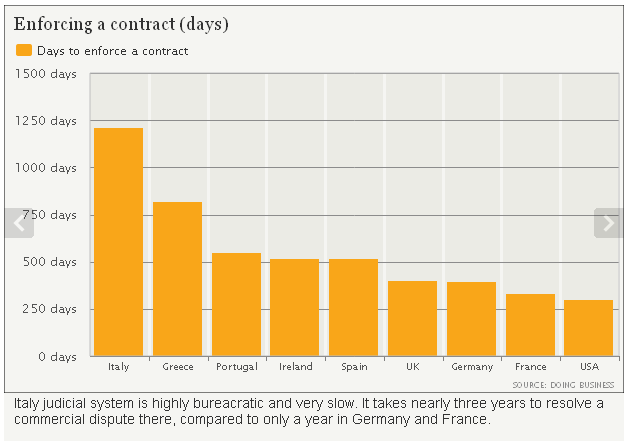 Enforcing a contract takes about 9 months, which is not that great, yet it takes more than two years to enforce a contract in Greece, and more than three years in Italy. 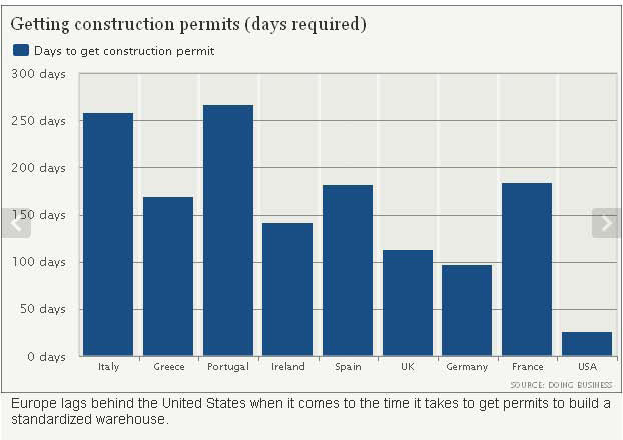 One interesting statistics is that the U.S. leads the pact in getting construction permit in less than a month, which probably partly explained the housing bubble. The same process takes more than 8 months in Italy and Portugal to get a construction permit. 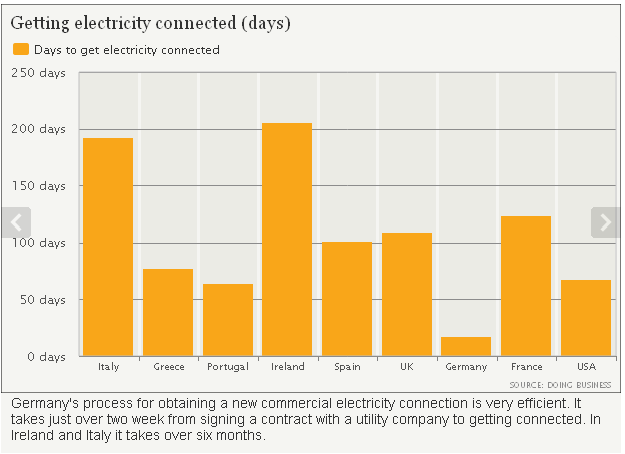 Another example is that while it takes 17 days to get commercial electricity connected in Germany, and more than two months in the US (which is bad enough), the same task takes over six months in Ireland and Italy. Exporting and importing a standardized cargo of goods by ocean transport also takes longer in Italy, Portugal and Greece compared to other European countries as well as the the U.S. Telegraph also pointed out that it takes nearly three years to resolve a commercial dispute, compared to a year in Germany and France due to Italy's highly bureaucratic judicial system,.